Hastings first community energy investment offer! Energise Sussex Coast (ESC) have announced the launch of the 1066 community energy offer. You are invited to join them for the launch event on 13 December 2018, 5:30–7:30pm at East Sussex College, Station Plaza. This is the first community energy investment offer in Hastings. 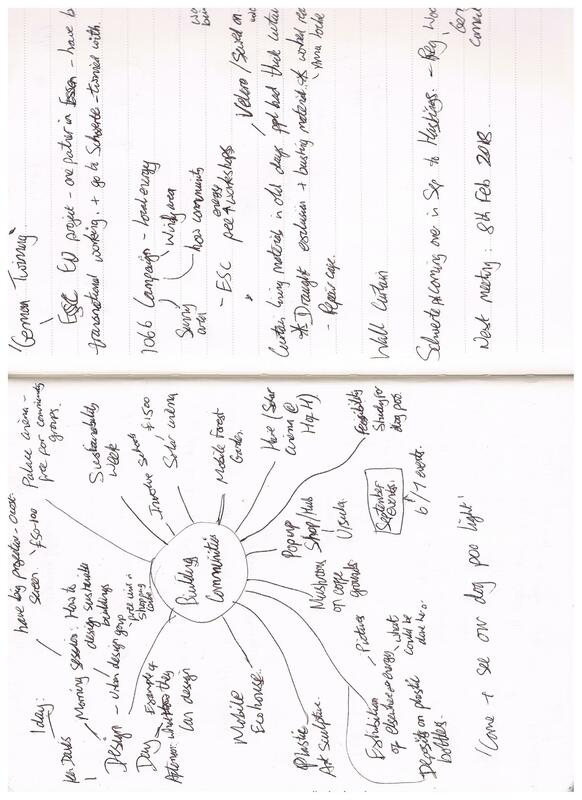 ESC, in partnership with Brighton Energy Coop, are raising £180,000 through community shares to fund 250 kilowatts of solar panels (roughly 1066 panels as it happens) on East Sussex College. The college will save roughly £4250 per year on its energy bills. Living in a solar town was something I dreamed of when co-founding Energise Sussex Coast in 2012. And here, hopefully, is the beginning of it. The offer is open to anyone but they are especially keen to invite as many local residents, local businesses and community organisations as possible to invest in the future of the college and Hastings. With the transformation of the energy market underway ESC hope that excess power generated during weekends and holiday periods can be sold to local residents in the Ore Valley at affordable prices. 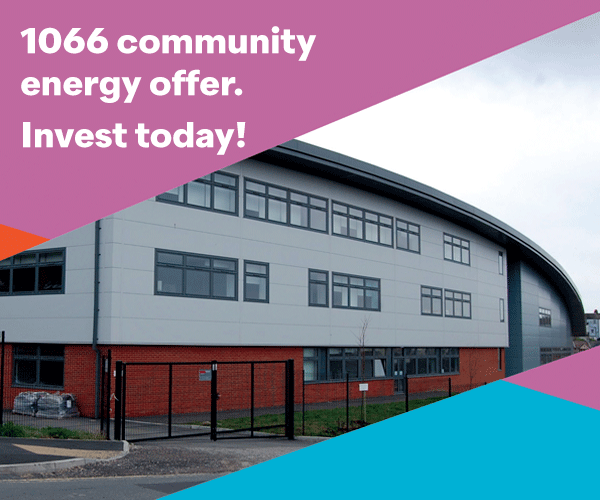 By investing in 1066 community energy you are supporting the transition to low carbon energy and a fairer energy future and will receive a reasonable return on your investment. 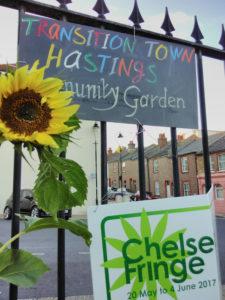 Transition Town Hastings will be exhibiting at the Big Green Fair this Sunday. 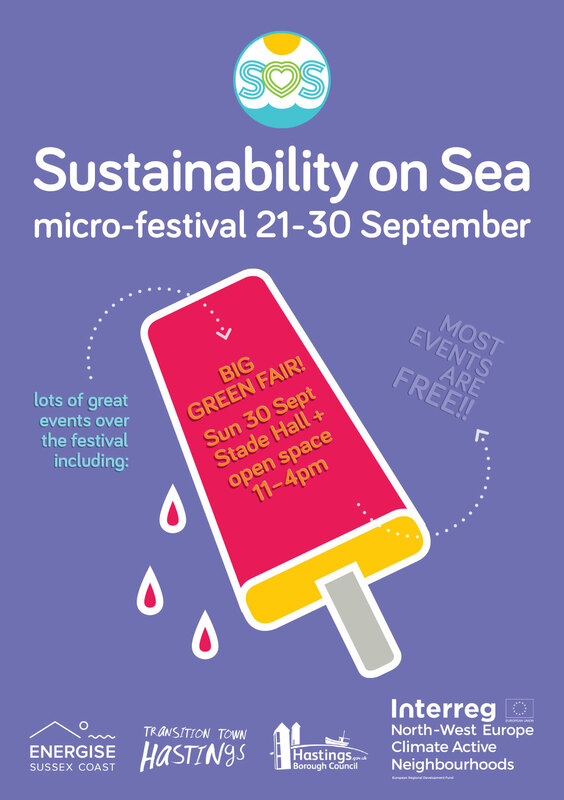 We have been working on a new festival launched this month called Sustainability on Sea bringing together local groups and initiatives working to make Hastings and St Leonards a more sustainable place to live. They are tackling important issues like single use plastic, a need for affordable housing and cheaper energy bills, healthy eating habits and growing our own food and using cleaner forms of transport. 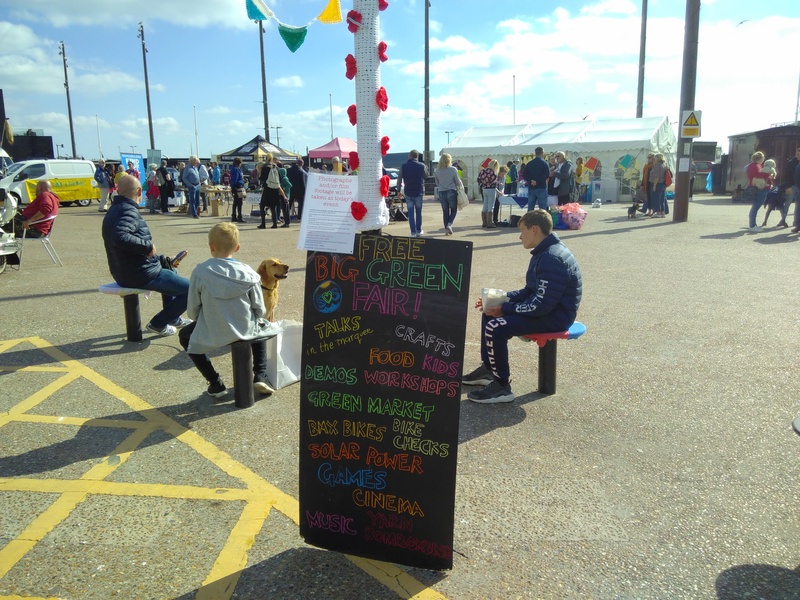 The festival closes with The Big Green Fair, an all day event at the Stade in Hastings Old Town which takes place this Sunday, 30 Sept between 11-4. Entry is free. Expect a variety of stall holders selling eco wares as well as information stalls and activities for families from Source BMX, Bike Lab Hastings, Co-wheels car sharing scheme, Refill Hastings, Plastic Free Hastings, Hastings Furniture Service, Hastings Fermentory, Hastings and Rother Beekeepers Association. 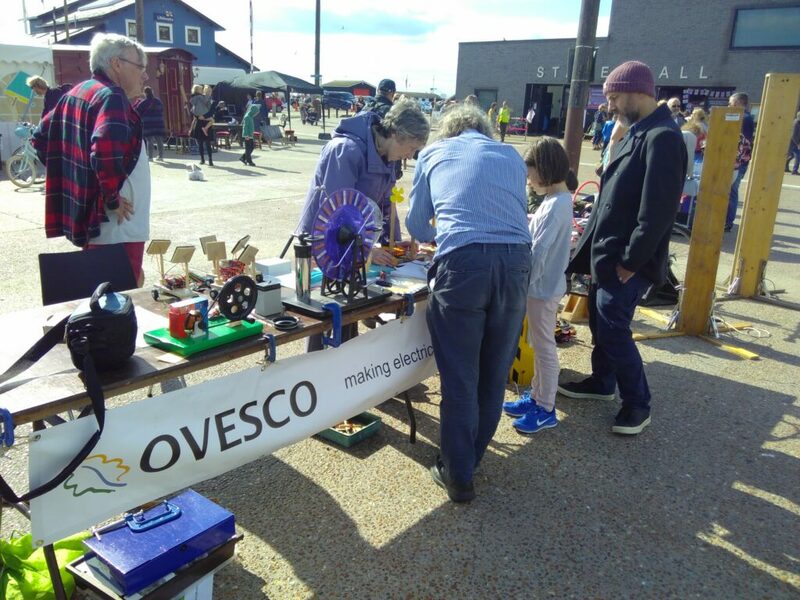 Energise Sussex Coast, the organisers of the fair, will have information about how to save energy and money on your energy bills. Bring along your bicycle to get a free bike check from Bike Lab Hastings. Kids can try out BMX bikes from Source BMX, play solar powered retro arcade games, make pompoms with plastic bags, plant seeds and have a go on bikes that generate electricity. There will be information about ways to make electricity from sunlight, wind, flowing water as well as some unusual ways such as used on Mars, electrostatically, from bent crystals and from lemons (yes, lemons!). The East Hill Sunshine Band and comedian Helen Keen will provide entertainment alongside a solar powered cinema. Drop by for the programme of talks and demos on composting, plastic recycling, sustainable housing, Alexander Technique, Transition Town movement and permaculture in the garden. Something for everyone young and old! Saturday 22 September, 10am – 4pm, St Mary in the Castle, Hastings: Hastings Green Party and Transition Town Hastings  will be launching a new water bottle refill scheme for Hasting next Saturday (22 September) at the Ocean Symposium  at St Mary in the Castle. Over fifty local businesses in Hastings have already signed up to the scheme. 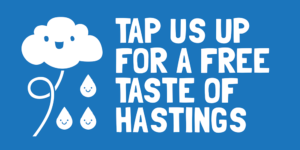 Any café, restaurant or business with easy access to water can sign up to be part of the scheme, either using the online app at https://www.refill.org.uk or by emailing refillhastings@gmail.com. Along with Surfs Against Sewage we’re establishing a Refill scheme in the Hastings area. We’re asking venues, cafes, bars, restaurants etc if they will agree to refill water bottles for free in an aim to reduce the amount of single use plastic being used. The Refill Scheme is taking the country by storm! Refill recently won Gold at the Global Good Awards for ‘Best Environmental Behaviour Change’. 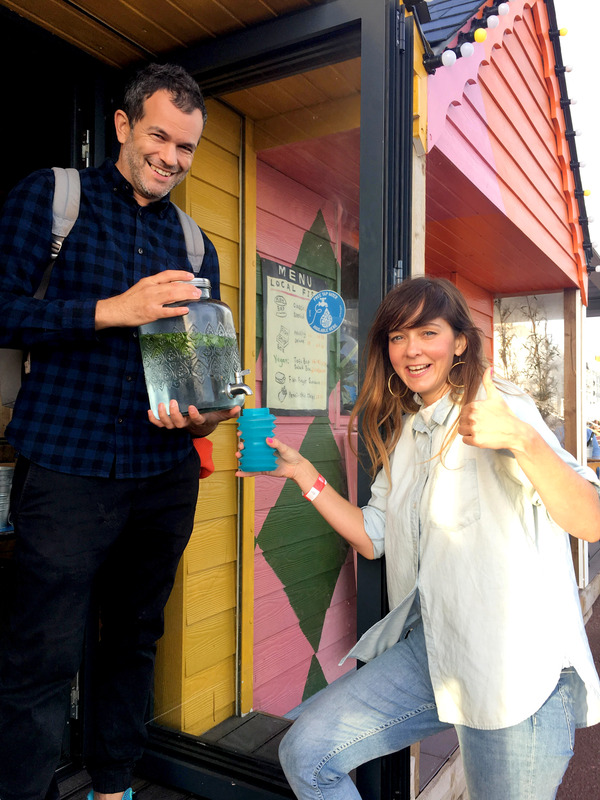 There are now over 1600 Refill stations across the country and that number is set to rise steeply as London joins the movement with the support of Thames Water and London Mayor Sadiq Khan. Refill now have a new promotional video which had 150,000 views on Facebook in its first few days. Refill Hastings now has 23 stations signed up and we will continue to sign up more. We are now receiving support from a newly appointed regional coordinator who is helping us with the formalities and a promotional plan. 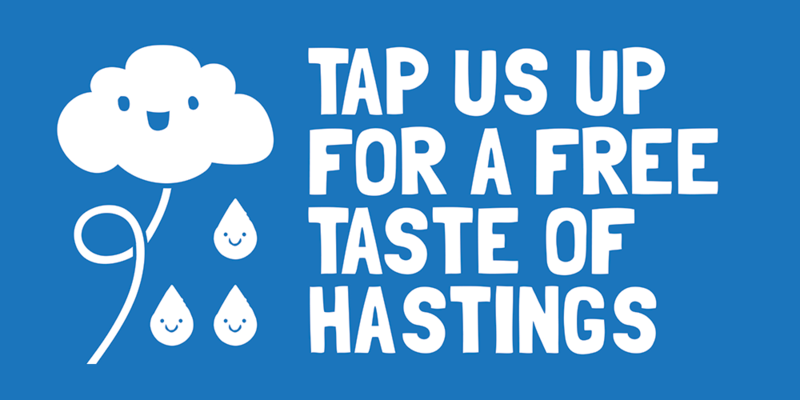 We’ve j ust set up a Refill Hastings Facebook Page so do give us a like! 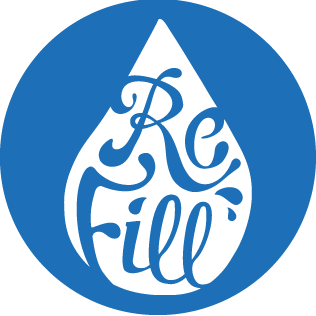 Don’t forget to download the Refill App to find all refill stations or to add one yourself! If you want to sign a venue up to the scheme do let us know and we’ll give you a sticker for the window and the necessary info. Sarah talked about Sustainability week initially being a smaller weekend event – a Saturday or Open house activities and a Sunday on the Stade Open Space – dates to be confirmed. Thanks to everyone that came along to the last meeting. It was a very lively and upbeat way to start the year! Please find the minutes of the meeting below as drawings! Thanks to Chris for taking them. 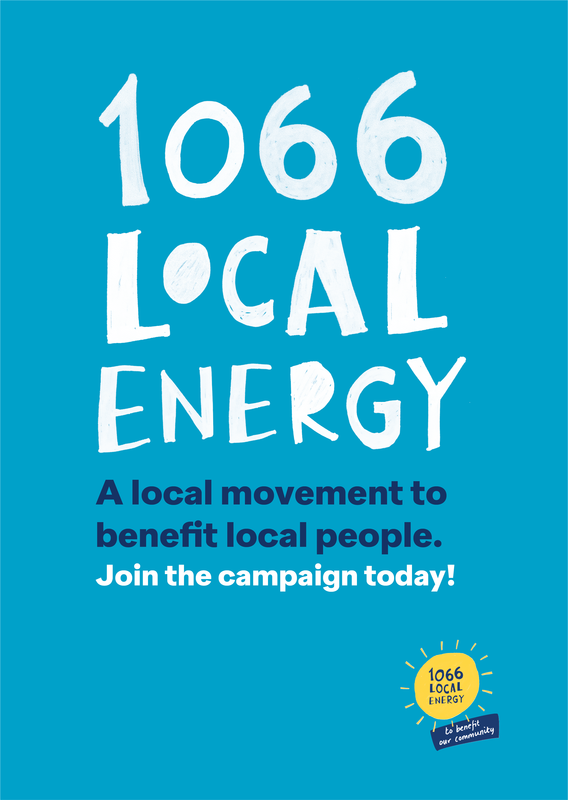 Read all the latest events and news from the 1066 Local Energy Campaign, including upcoming training events such as draught excluder making and solar panel workshops, energy advice events and an inspiring video interview about the difference a local energy system could make for our community. Read the newsletter here and sign up to the mailing list too! Don’t miss the bus on climate change: make pensions fossil free! On Saturday 23 September campaigners from across East Sussex will be boarding one of the Big Lemon’s sustainable buses for a one-day tour of East Sussex, taking the message about fossil fuel divestment – and the Divest East Sussex petition – to Hastings, Bexhill, Hailsham, Eastbourne, Seaford, Crowborough, Uckfield and Brighton. 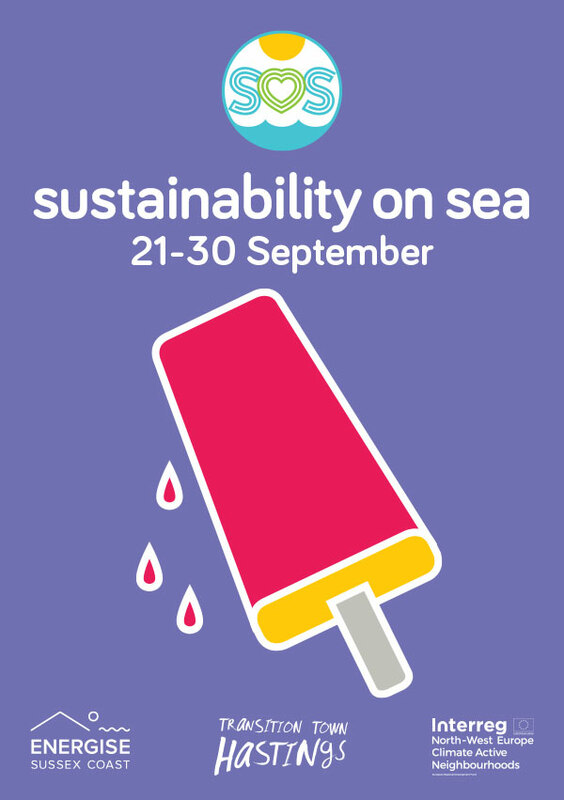 If you’d like to come and see us off on the day – and take part in the photo call, featuring one of the Big Lemon’s sustainable buses – then please meet us by Hastings pier at 9.15am on Saturday 23 September. “If we want to avoid 2C, we have very little time left. The public should be very concerned.” – Adrian Raftery, co-author of the recent scientific paper ‘Less than 2 °C warming by 2100 unlikely’, Nature Climate Change, 31 July 2017. We’ve already seen global warming of over 1 degree centigrade. The resulting climate change is now leading to increasingly severe impacts – from rapidly melting sea-ice at the poles to 50 degree heatwaves in India and drought in California. The UK is also seeing serious impacts – with increasingly severe flooding in almost every region and country in the UK in recent years – and it’s going to get much, much worse. Unless, that is, we take action NOW to ensure that most of the known deposits of fossil fuels (oil, coal and gas) are left in the ground unburnt, and replace them with cleaner sources of energy. East Sussex County Council (ESCC) currently has £150m of local people’s pension monies invested in fossil fuels. These investments are a disaster for the climate as well as a financial risk for local people’s pensions. Hastings Borough Council, Lewes Town Council and Brighton & Hove City Council have all called on ESCC to get rid of these investments (‘divest’). Add your voice to the calls for divestment by signing the petition to divest the East Sussex Pension Fund and join us on 23 September if you can (see below for our schedule). Together we can send a strong message to the ESCC that it’s time to move our money away from the problem and into the solutions.